Disclaimer: The author of this article is in fact white, but not racist. The author has attempted to use minority opinions wherever an opinion is cited to avoid the charge of racism by those who think that a white person’s opinion may not carry as much weight. 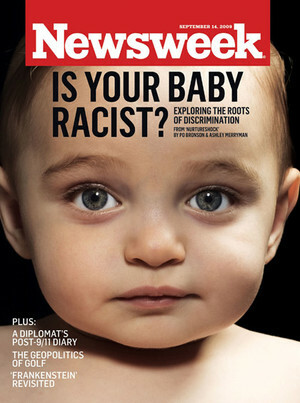 It’s pretty clear that having a demeaning attitude towards someone merely because of the color of their skin is racist. What’s even worse, is carrying that thought process into actual words or actions. 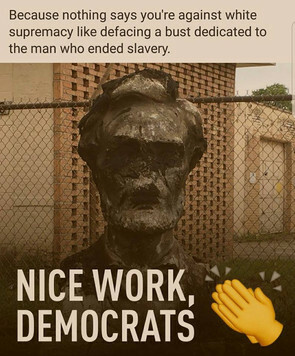 ​​ America is NOT a racist nation. We were a nation founded on the principles of freedom and even the founding fathers that owned slaves recognized the injustice of it. The idea that “All men are created equal” was written into the Constitution with an arguable goal of freeing the slaves at some point. 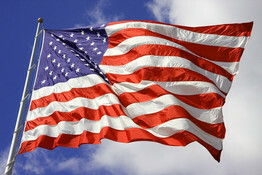 George Washington is one of our founding fathers who freed his slaves. In July of 1964 the Civil Rights act was passed outlawing discrimination based on race (Jim Crow laws) and in 1965 the Voting Rights Act was passed. 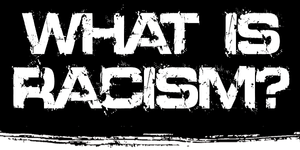 Here is a short 5 minute video that explains how racism is NOT alive in America anymore. This is the opinion of many black people today, and is factually accurate as it pertains to the supposed racism against Black Americans.A black Professors opinion on Race can be seen here. In this present day 2017 Institutionalized racism is non-existent. By that, I mean, racism is NOT allowed, nor is it an approved practice at ANY government level or ANY public corporation or job, or in society in general. That is not to say that racism doesn’t happen, merely that if it does, you have legal recourse to punish the racist and the majority of society will see them as evil. Racism on an individual level DOES happen and I have several stories from my childhood of it happening to me, as well as a couple of stories of it happening to me on the job as an adult. Yes, people are racist against white people too. During the years I was a member of a black Southern Baptist church in Albuquerque NM (2006-2008) I experienced mild racism on several occasions. At one point I even had to speak out and let the congregation know that it was literally okay to be a white person, or mixed race. Today, we hear about white privilege and the inherent racism of whites. Let us be clear that the people making these statements are making racist statements. ANYONE who judges a person based on the color of their skin is racist. When I am told by people that [they assume] I have some sort of privilege (without ever knowing my background or personal experiences) merely because they see the color of my skin, they have made a judgement about me because I am white. That is racist. When a person says that someone is racist, that is assumed to be a bad thing. Therefore, labelling whites as inherently racist is to assume that whites are inherently bad. 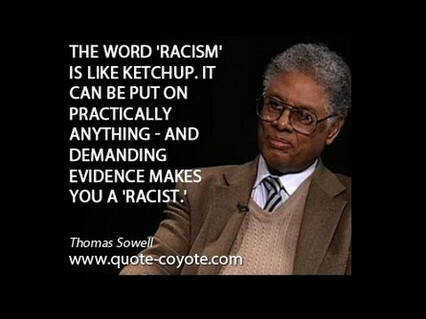 To assume that an entire race of people is bad, is the very definition of racism. ​​ The people that pretend to be anti-racist while putting down other people based on the color of their skin demonstrate a level of hypocrisy that is astonishingly bold and it seems to be working in our society. America’s problem with racism is in fact this new obsession with “white guilt” and calling attention to the color of people in positions of power. When the only argument against someone is that “you’re a white man, your argument is racist”, then that statement unashamedly demonstrates racism. I for one am sick of it. Let the record show that this White man’s article must be supported by people who are not white in our current society just to get people to listen his logical arguments. The disclaimer at the beginning of this article is sadly needed, which goes to prove the extent of racism in America today…..against White people. White people aren’t allowed to have certain opinions, or to speak about certain topics. We are told that White people simply can’t understand racism because apparently we are too dumb as a race. White people aren’t allowed to say certain words. White people are viewed as inherently evil/racist. It’s time to fight back. End the racism. 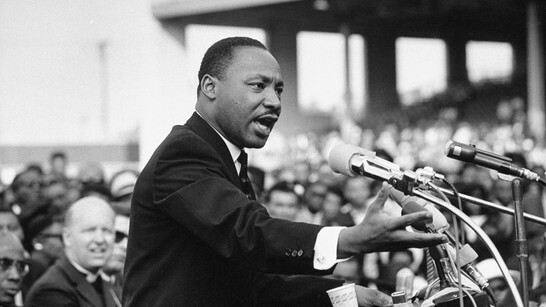 “I have a dream that my four little children will one day live in a nation where they will not be judged by the color of their skin but by the content of their character.” – Rev. Martin Luther King Jr. True racism against blacks is happening just like the slave plantations of the past, but it is a free choice. Unfortunately, blacks are overwhelmingly choosing to stay on the plantation. Watch this 3 minute video by an Indian Immigrant here.